“Mira, Royal Detective” is set to debut on Disney’s Juniors channel in 2020, and we can barely contain our excitement. If the possibility of baby desi Sherlock Holmes is not enticing enough for you, take a peek at the star-studded cast. This 15-year-old newcomer is all set to make her Disney (and social media) debut as the lead of the new series. She’ll be voicing the title character in “Mira, Royal Detective,” the young, sleuthing star of the show. Kamran’s been on the Disney roster since 2016, starring on “Mech-X4.” Now, he’s all set to star as Prince Neel, Mira’s best friend, and a talented inventor at that. 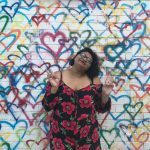 This 19-year-old newcomer stays stunting on IG (no, really, follow her and cry with us about how cool she is), and soon she’ll be voicing Priya, Mira’s artsy cousin. I’m playing a Mongoose for a new @DisneyJunior cartoon! 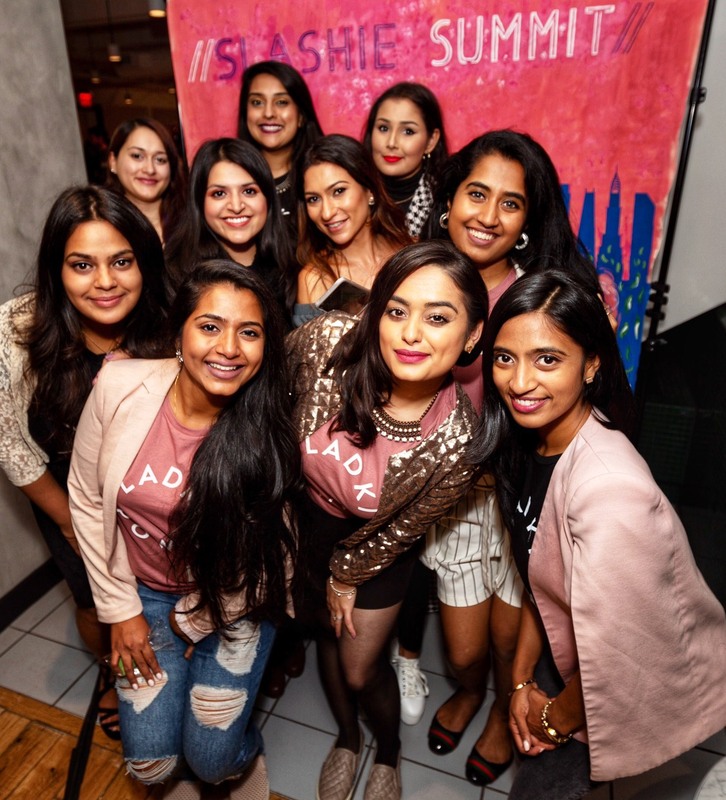 Excited to be part of this insanely talented cast with @utktheinc @jameelajamilofficial @therealhannahsimone @aparnapkin @aasifmandvi @freidapinto @parvey @sarayublue @itskaransoni + lots more. Now that he’s had a break from “Harold and Kumar,” and working for Obama, and playing a speechwriter on “Designated Survivor,” and generally being a star on Twitter (seriously what can’t the man do??? ), Penn will lend some comedic voice acting to “Mira, Royal Detective” by playing a Mongoose name Mikku. #marypoppinsreturns premiere loved it. let’s go see it again. trip a little light fantastic ? BG’s favorite brown boy (We all know it’s true — we’ve been stans since day one) will join pal Kal Penn as the other mongoose, Chikku. Okay, is no one else shook about this??? Pinto will voice Queen Shanti, Mira’s mother, and we cannot wait to watch her character in action. That’s right people. Disney also managed to rope the best character on “New Girl,” Cece (seriously, I’ll fight anyone on this), into the gang! Simone will voice a young girl named Pinky, and if that isn’t the most desi thing you’ve ever heard, you’re insane. The “Mira, Royal Detective” cast would be incomplete without our new best friend, Jameela Jamil, of “The Good Place” fame. As she shared in a super sweet post on Twitter, she’ll be joining the cast to lend her voice as Mira’s Auntie Pushpa. Sat down with @thedailybeast to chat about the cultural changes since I first performed Sakina’s Restaurant in 1998 and the role it plays in today’s society. Tickets are available through Nov 11th via the link in my bio! Whether it’s “Mississippi Masala,” “Homeland” or more, Choudhury doesn’t do anything short of greatness. She’ll be voicing Prince Neel’s Great Aunt Rupa. mindy tucker (@withreservation) is a magical gem with a keen-eyed lens. we are all the luckiest for her. congrats on a decade of capturing a comedic village! oh AND she is truly the most delightful person to get to see on a regular basis ?? go celebrate her at butterboy at littlefield tonight at 8! but every day too. She was great on “BoJack Horseman,” she’s iconic on Twitter and she’s written for about a billion great shows. Now get ready for her to play Meena, another one of Mira’s cousins, and part of the sleuthing squad. Fun fact: these stairs were burning hot when we did this shoot. so just know I suffered for this shot. Our boy Ravi’s all grown up!! In case you’re missing Karan from his “Jessie” and “BUNK’D” days, he’s rejoining the Disney crew to voice Prince Veer. Disney really cast this show with South Asian actors from all genres, and we’re super appreciative! Karan Soni gets a double role (hello Bollywood, he’s ready now) on “Mira, Royal Detective,” as twins Ranjeet and Manjeet. In case you were wondering, YES we absolutely are dying about this too! Sarayu will play a secondary role in the cast, appearing occasionally as the royal tailor. Parvesh Cheena and Sonal Shah will also feature in a limited number of episodes as bandits Manish and Poonam. Announcement: If anyone in the world at all needs babysitters after 2020 I gotchu. Your kids are I are gonna have some great “Mira, Royal Detective” marathons. Oh, and I’m set with my niece’s Christmas/Birthday/just-because-you’re-cute gifts for the next three years, at least. 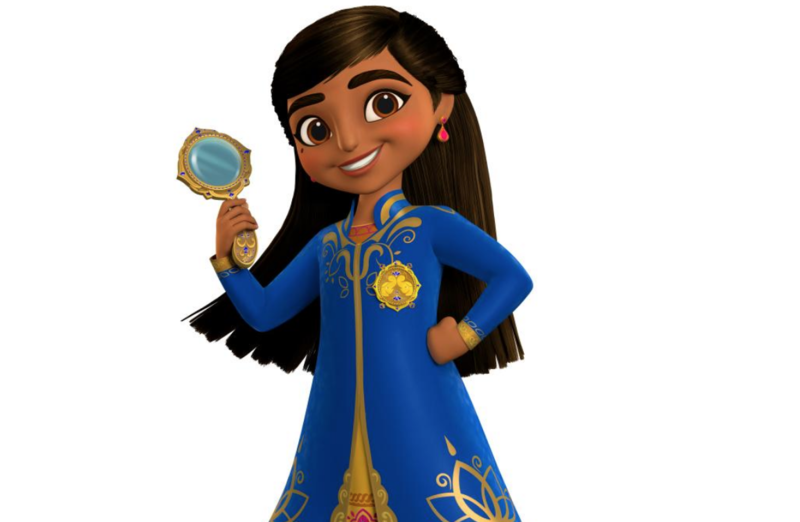 My guess is most South Asian kids will be getting “Mira, Royal Detective” gifts for the next several years, and it’s about time kids see more images that look like them as they grow up.